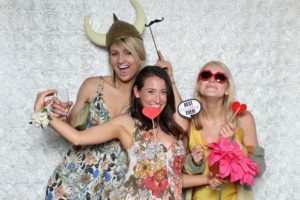 The Viral Booth is the best wedding photo booth Orange County according to brides, who consistently give us 5-star reviews! 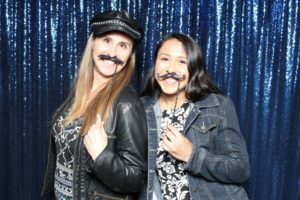 Our open air photo booths are affordable and super-fun at venues, in homes and even at outdoor events in Orange County, Los Angeles, San Bernardino and Riverside. 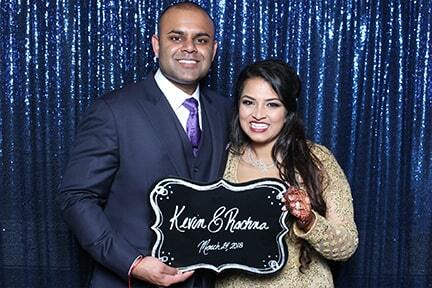 CLICK HERE to visit our wedding photo booth page. Or, click below to get prices. Check Out Our New Photo Booth! We're thrilled to introduce the newest member of our Viral Booth family, "Bot," the robot photo booth. Bot is the most popular guest at every party! 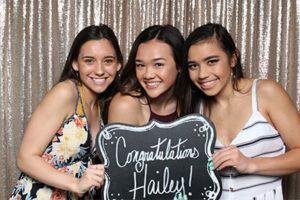 She roams around every kind of celebration from weddings to birthdays and Bar/Bat Mitzvahs, taking and printing photo booth pictures and creating all kinds of fun! Click here to learn more about Bot! 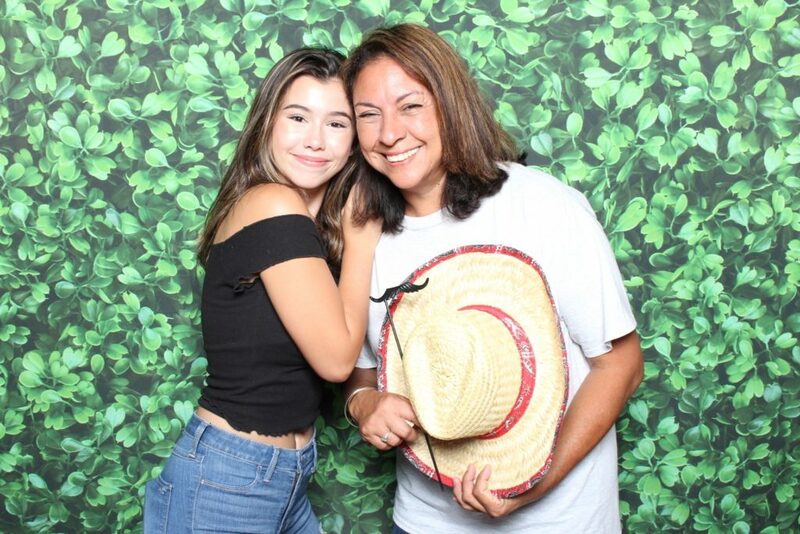 Even More Photo Booth Options! At Viral Booth, we love packing a trunk of hats, glasses, stick props, signs and more for every type of occasion. 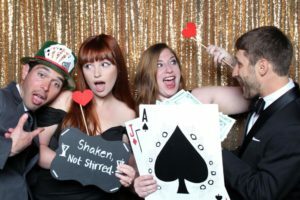 From the best wedding photo booth rental prop package, to birthday parties, casino nights, Bar and Bat Mitzvahs and more, guests keep coming back to the photo booth all night long to pose with something new. Here's What Our Photo Booth Clients Say! The Latest Viral Photo Booth Events! 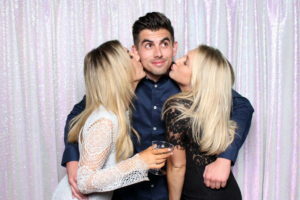 Everyone loves snapping pictures & GIFs in the best wedding photo booth Orange County. What is a Wedding Photo Booth? 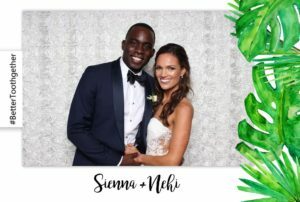 Because your wedding is the most important day of your life, companies that specialize in wedding photo booth rentals are prepared to make sure everything is perfect for you. At Viral Booth, we have a full-time staff ready to provide you with great service and the best wedding photo booth experience. Plus, we have only top of the line, well maintained photo booth equipment, high quality backdrops and super clean photo booth props. 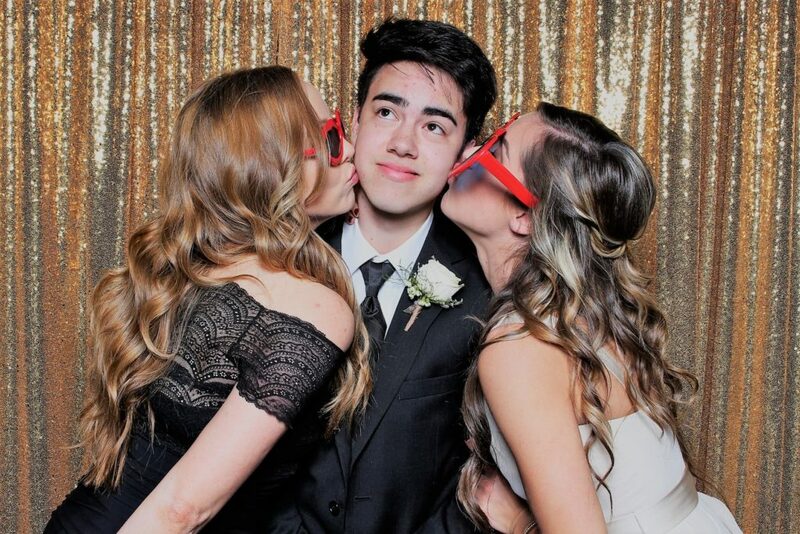 Above all, here at Viral Booth, all of our events have a member of our management staff on-call during your wedding to ensure your photo booth rental is presented beautifully and everything runs smooth. How much does a wedding photo booth cost? Your wedding photo booth is going to be a prominent part of your reception. So remember, you get what you pay for. Photobooth rental costs depend on several factors, including the type of photobooth, the quality of the photobooth equipment, the location and length of your reception, the number of wedding guests, and what is included in the photobooth package. 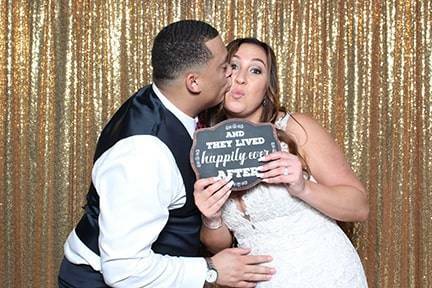 At Viral Booth, we offer an all inclusive package that has everything you need for the best wedding photo booth rental experience. Looking for a custom photo booth package? We can customize photobooth packages to meet our clients' needs and budgets. Is a wedding photo booth worth it? Yes! 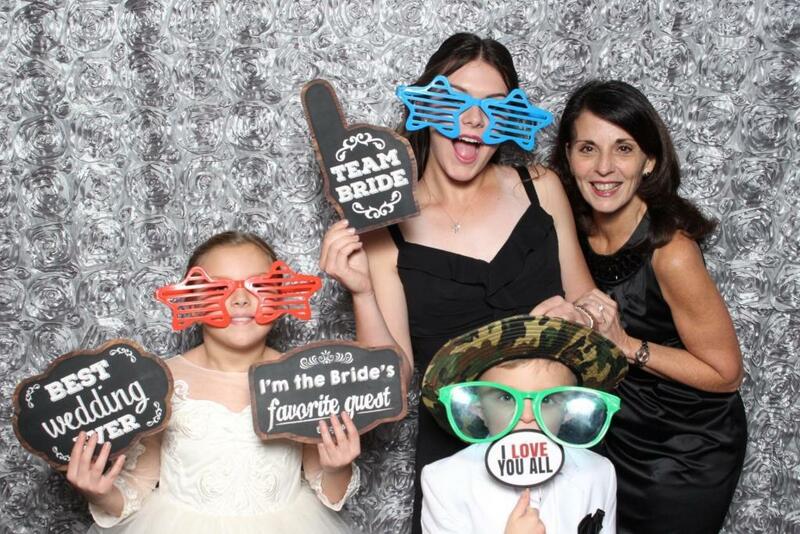 A wedding photo booth is the perfect entertainment for your reception. Dancing and drinking is fun, but not everyone enjoys dancing the night away. That’s why you need a photo booth. If you’ve ever used a photo booth, you know how much fun they can be! Being with friends and a huge supply of creative props gets everyone making lifelong memories. Even better, you’ll have the photo booth pictures to prove it! That’s the great thing about a Viral Booth wedding photo booth. You get two awesome features for the price of one. First, your guests enjoy having fun posing for the camera. Second, your guests get a keepsake picture to remember your event forever. 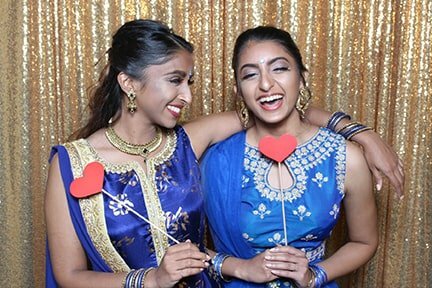 What are ideas for a wedding photo booth? Ideas for a wedding photo booth range from a traditional fun booth with wacky props and 2x6 photo strips, to a one photo portrait booth that gives your guests a gorgeous 4 x 6 or 5 x 7 keepsake photo in their best dress. At Viral Booth, we love brainstorming ideas for the best wedding photo booth. We've created a 90's-themed green screen for a wedding in Corona. We've also created a beach-themed booth, complete with a beach green screen background and themed props for a wedding in Huntington Beach. Other wedding booth ideas include Disney or Star Wars props to match the wedding theme. 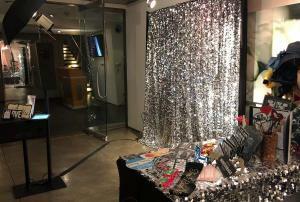 Or, an enclosed photo booth to create a more intimate photo booth feeling. Can I do a DIY Wedding Photo Booth? Yes! We offer a variety of DIY photo booth options for your wedding photo booth. You can design your photo photo strip or 4x6 layout using our easy DIY online experience. Plus, we can offer guidance and advice for creating your own photo booth props and even your own scrapbook for photo strips. We can also assist brides to create a DIY photo booth backdrop. From using a background at the reception location, to offering ideas for creating a unique fabric backdrop, we're here to help our brides create the wedding photo booth experience for their big day. Viral Booth's corporate office is located in Huntington Beach, CA. We proudly show off our wedding photo booths orange county by appointment. To schedule a visit, email is at shanna@viralboothoc.com. From our Huntington Beach location, Viral Booth serves all of Orange County from the beach cities to Riverside including: Aliso Viejo, Anaheim, Brea, Buena Park, Capistrano Beach, Corona Del Mar, Costa Mesa, Cypress, Dana Point, Foothill Ranch, Fountain Valley, Fullerton, Garden Grove, Huntington Beach, Irvine, La Habra, La Palma, Ladera Ranch, Laguna Beach, Laguna Hills, Laguna Niguel, Laguna Woods, Lake Forest, Los Alamitos, Midway City, Mission Viejo, Newport Beach, Newport Coast, Orange, Placentia, Rancho Santa Margarita, San Clemente, San Juan Capistrano, Santa Ana, Seal Beach, Silverado, Stanton, Sunset Beach, Surfside, Trabuco Canyon, Tustin, Villa Park, Westminster and Yorba Linda. 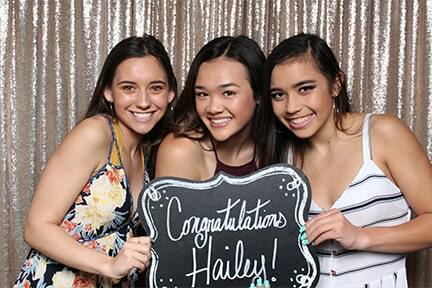 We work with venues throughout Orange County and are proud to be the preferred photo booth for the Hyatt Regency Hotel and Seacliff Country Club in Huntington Beach. We're also the preferred vendor for spectacular Seven Degrees venue and the Surf & Sand Resort in Laguna Beach. Plus, Viral Booth is the wedding photo booth vendor for the Orange County Mining Company in Santa Ana, the Richard Nixon Library in Yorba Linda, Turnip Rose Promenade in Costa Mesa, Anaheim Majestic Garden Hotel in Anaheim, Wedgewood Weddings University Club in Irvine and Wedgewood Weddings Aliso Viejo. 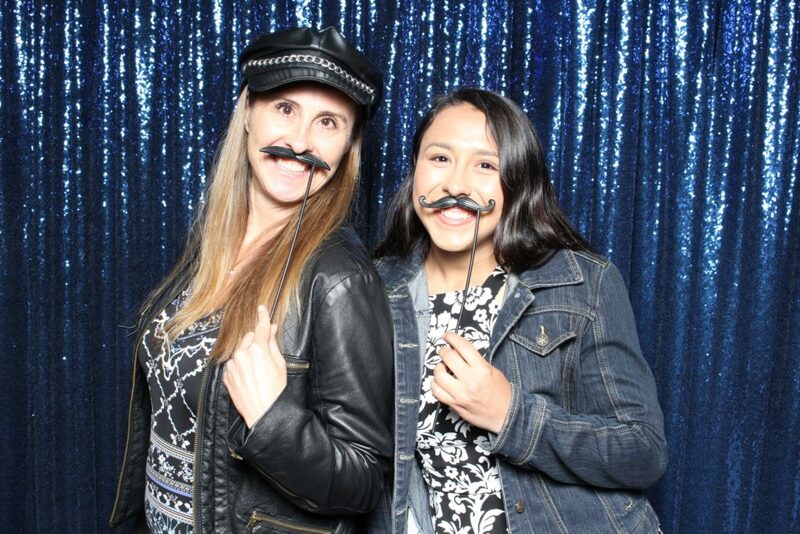 We even offer wedding and party photo booths on yachts for Hornblower Cruises Newport Beach, Hornblower Cruises Long Beach and Hornblower Cruises Marina Del Rey. 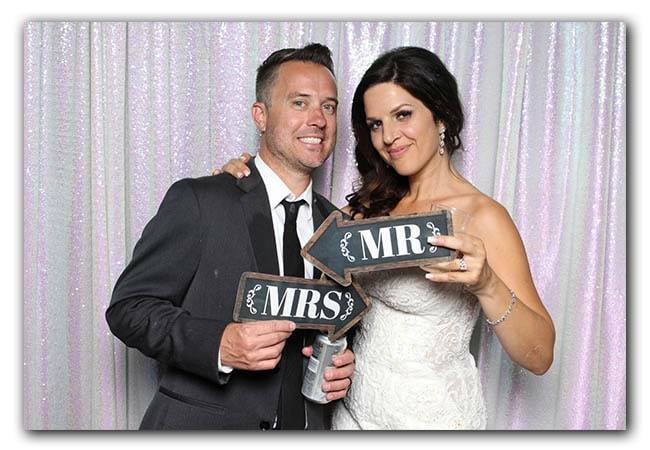 Contact us for a complete list of venues where we provide wedding photo booths orange county.